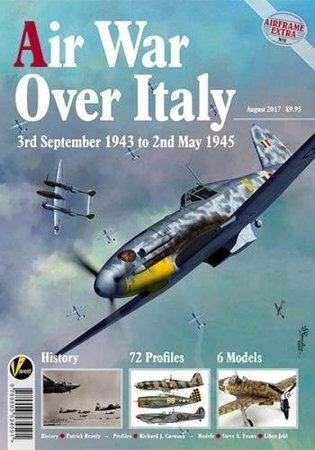 This time around, Valiant Wings Publishing puts their sights on the Air War Over Italy during the Second World War. Interestingly, despite the title saying Air War, the historical narrative focuses mainly on the ground war. Perhaps that is to be a counterpoint to the aviation subjects, which are covered in the model builds and color profile illustrations, but I for one was hoping for a bit more written history to the actual air war. So, if you go in with wanting to know about the models built, and/or the color profiles provided by Richard J. Caruana then you will enjoy this title. If you are looking for more of a historical narrative on the air war over Italy, you will want to search elsewhere. I do thank Valiant Wings Publishing for the review copy.